One of the most important organizations in Missouri is Missouri Kids First. Since April is Child Abuse Prevention Month, we wanted to highlight the important work that they do and urge you to support them. Here’s info from their current newsletter. April is Child Abuse Prevention Month and a time for us to remember children are our best hope for the future and they deserve safe, stable childhoods in nurturing environments. Did you know that Missouri KidsFirst is also Prevent Child Abuse Missouri? We are! Help us highlight happy and healthy childhoods during the entire month of April by using #greatchildhoods or #preventionispossible and sharing a photo with us! If you are on Facebook or Twitter, you can also change your profile picture to show your support for child abuse prevention! 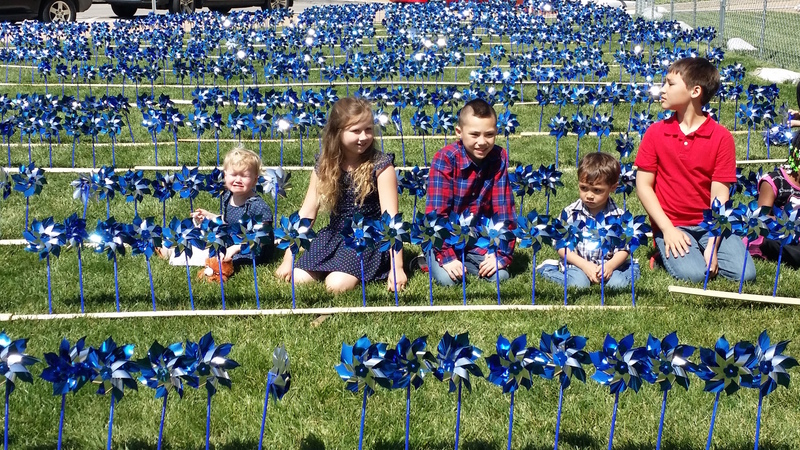 Our Pinwheels for Prevention Ceremony is just a few short weeks away. Planting a pinwheel garden is a beautiful way to show YOUR support for happy and healthy childhoods! If you have not yet sponsored a pinwheel, please consider doing so. If you want to try something different this year, purchase a pinwheel centerpiece!